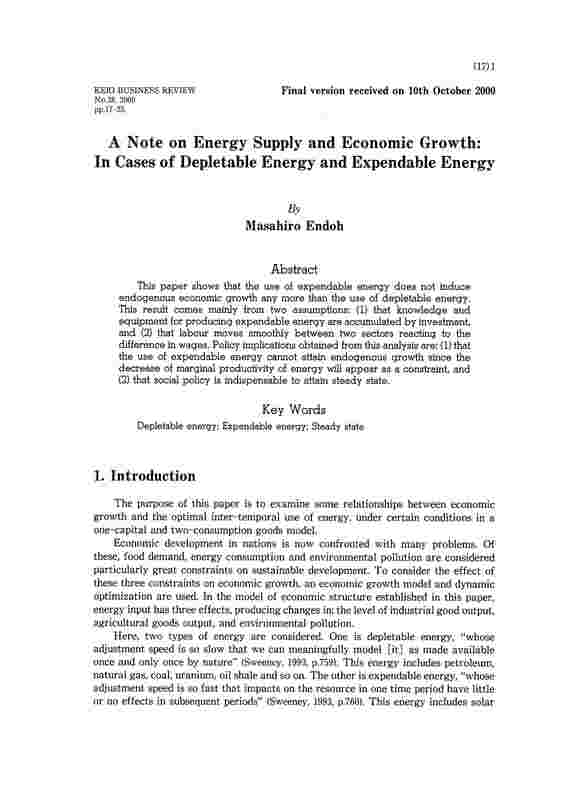 This paper shows that the use of expendable energy does not induce endogenous economic growth any more than the use of depletable energy. This result comes mainly from two assumptions: (1) that knowledge and equipment for producing expendable energy are accumulated by investment, and (2) that labour moves smoothly between two sectors reacting to the difference in wages. Policy implications obtained from this analysis are: (1) that the use of expendable energy cannot attain endogenous growth since the decrease of marginal productivity of energy will appear as a constraint, and (2) that social policy is indispensable to attain steady state.